Provides you will the technical knowledge to deliver FUNdamental diving skills from the poolside. It covers basic diving positions, dry land practices and key teaching points. It enables you to deliver the Swim England Aquatic Skills framework Stages 8, 9 and 10 for diving. 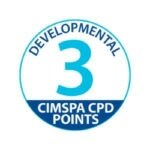 This CPD is aimed at Swim England Level 2 teachers and is made up of a 2 hour interactive workshop and 1 hour in the pool.